Instructions: You can easily turn Soft Bunny Rabbit Rings on and off by squeezing the top of the light up rings. 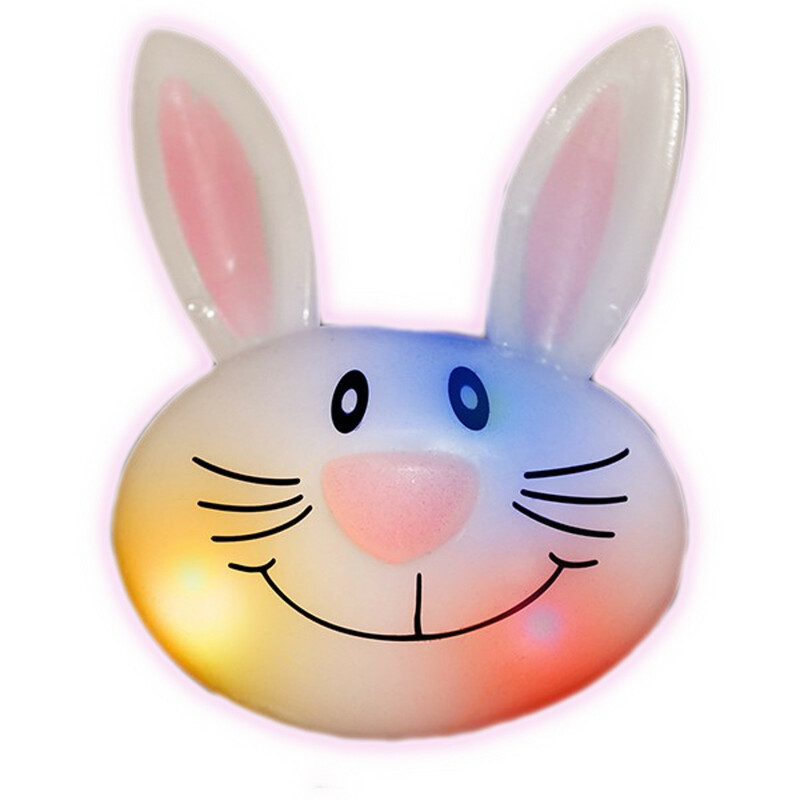 Each box of light up flashing rings comes with an assortment of Pink, Puprple, White and Yellow rabbit rings. For small quantites, please email for specific color requests. Dimensions: Height: 1.62 in. Width: 1.12 in. LED Colors: 1 Blue, 1 Orange, 1 Red Batteries: Batteries are NOT replaceable. Packaging: Retail ready, individually packaged in stylized box – Prices are per ring. Packaging as follows: 24 pieces per box, 288 pieces per case.